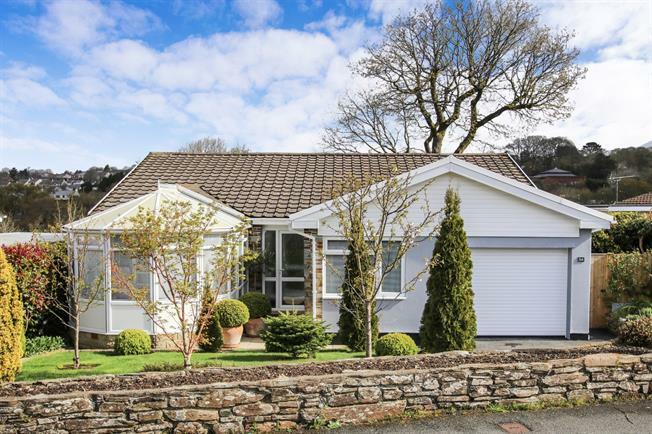 4 Bedroom Detached Bungalow For Sale in Bodmin for Asking Price £330,000. This versatile, immaculately presented family home offers an entrance porch, a light and airy hallway, four bedrooms two with ensuite shower room a family bathroom, additional cloakroom, and fitted kitchen leading to dining room and utility room. Theres also a capacious conservatory, lounge, integral garage and ample storage options including cellar. Outside is generous parking, with gardens to the front and rear, a timber shed and a summerhouse. The property is double glazed, with gas central heating.